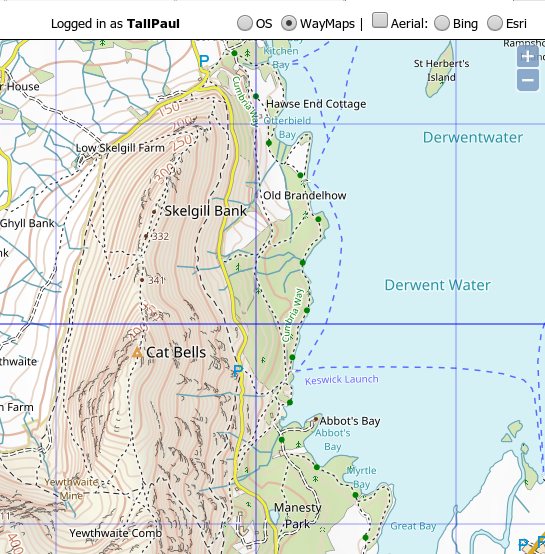 If you use our GPS mapping application and you have logged in then you used to be able to use aerial photography for Bing. 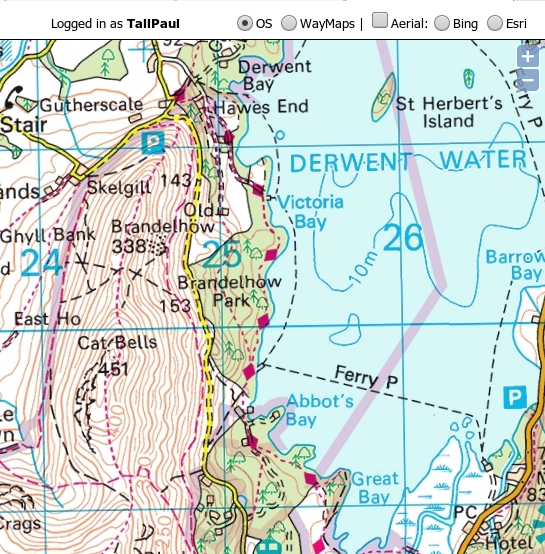 These tiles are often very good, for example they are in the Lake District, but elsewhere in the UK there are gaps with no tiles present at some zoom levels and/or the best tiles being satellite rather than aerial photography. 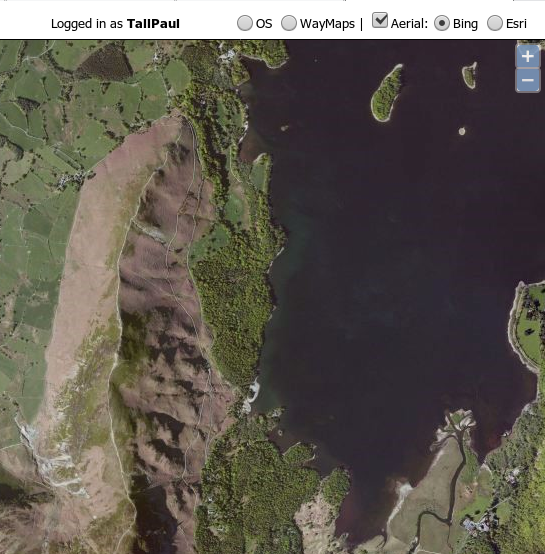 To tackle this we've now added a new source of aerial photography tiles to our application. This seems to be complete at all zoom levels across the UK although you can't zoom in quite as far as with Bing and, certainly in the Lakes, there's more clouds in the way. However overall it's a valuable addition to the armoury. 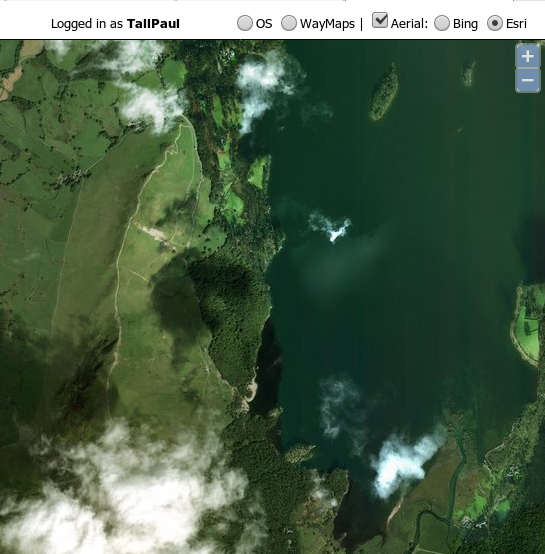 As you can see we've retained the radio buttons for selecting tile layers and a checkbox for toggling aerial photography on and off but there are now radio buttons for the two aerial photography tile layers so you can choose between them. When you toggle the checkbox the application remembers which map tile layer or aerial photography layer you used last so, as before, you can quickly toggle between mapping and aerial. We think is a valuable addition to the application when researching walks and we hope you think so too.